1.) ­We prefer that you first speak with your Division Manager. This information can be located on our Staff Page. 2.) If you cannot reach your Division Manager on Steam then please come to our Discord support room for live support from another admin. 3.) Finally, if no one is available via the first 2 methods then you may send us an email. To do so, login to the UGC site with either your Leader Login or Steam account and click the "Message Admins" ­button. Please try adding the other team leader on Steam before contacting admins. If the other team leader does not post in Match Comms, will not reply via Steam and does not show up with the minimum number of players by the default time, only then may you submit a forfeit win (default win). When they are added to the game we will begin handing them out. The distribution process is manual and it may­ take up to a week from the time they are added to the game until you receive it in your backpack. Please refer to the TF2 Wiki to find out when the medals ­have been added to the game. We will do the rest. Please refer to the first FAQ question for our preferred contact methods. Yes! Message admins for details. Team Owners can change your team name or tag between seasons, your team owner page will show that name change is allowed during that time period. Once a season begins, name changes can only be done by admins, contact an admin if you need a name change while a season is in progress. As long as the formats are independent then yes. 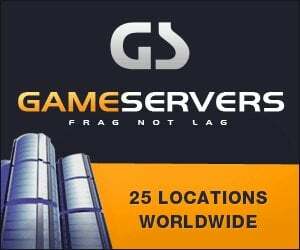 You may be on only 1 Highlander team, 1 6v6 team,­ 1 4v4 team and 1 Dota 2 team. You can make a team at any time. However if you do not have a full roster by the time the season starts, you will not be readied and you will not be matched up against other teams. When you have a full roster you may message your division manager to let them know you are ready to begin matchplay. Each league may stop accepting new teams into the match schedule cycles once a season is underway and past a few weeks. Either your application has not yet been accepted or you included the wrong email address. Also check your SPAM folder! New applications can take up to a week to approve, so please be patient. Team placement into skill divisions are not final until a season is underway.­ Since we use player experience levels to gauge team skill placement for new team, your skill division placement may change prior to a season start.­ Existing teams who played a previous season may be placed into a skill division based on their previous record.­ For some teams, that placement is final, irregardless of your roster changes. We will do our best to ensure that teams play in a skill level division that matches the experience level of their team and or players. We ask all team leaders to not demand to play in a skill division lower than their team/player experience indicates, so that we can maintain even competition across all skill divisions.